In an exquisite restaurant high above the ground floor, you have a privileged view of the multicolor sunset and lapping waves. Enjoy freshly caught seafood and fine meats in a refined setting. 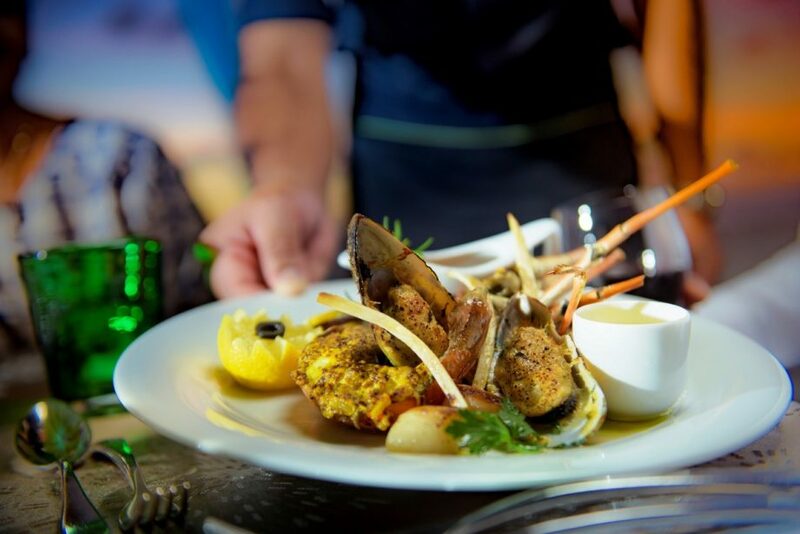 Jacaranda proudly offers local and fusion delights such as chargrilled lobster, wagyu beef in vindaye sauce, and Mauritian-style bouillabaisse. A massage for two, followed by a private meal… Let Sofitel Mauritius L’Impérial treat you and your amour to the utmost in romance and indulgence. Begin with a couples spa treatment in hushed surroundings, where talented hands soothe your body and mind with your choice of massages, facials, scrubs or bath rituals. As this is the last session of the day, the spa is then closed to all but you and your loved one. In the Zen-like atmosphere of the Japanese garden, prolong the atmosphere of pleasure and tranquility with a catered dinner.